Home Money Do you need to tip a house painter? 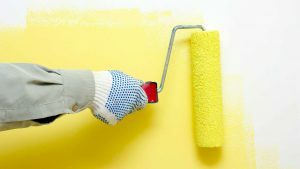 Do you need to tip a house painter? There always seems to be a gray area when it comes to tipping someone. Some people are more prone to tip, while others feel the base price should suffice for the work. For many service workers, a tip can do wonders for their ending paycheck. 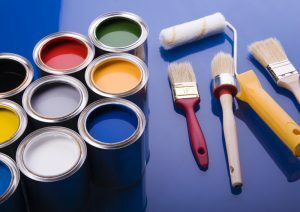 With the home improvement season around the corner, more homeowners are going to be painting or repainting their houses. But, if you decide to forgo painting the home yourself should you tip a house painter? In short, yes, as a customer who has received a service you should tip. Morally it is a good thing to do, but sometimes you may not want to tip a house painter. Take Jennifer for example, she has a home that is around 1,400 square feet. She decided to hire two house painters for a job in her living room. It has taken the two painters an entire month to paint one room. During that month, they have also left all their gear scattered on the floor. Should Jennifer tip them? Obviously not, tipping is an extra form of payment that shows gratitude for a job well done. The painters did not show any effort to get the job done so they should not be tipped. For reference, it only takes about six hours for two people to paint one room. While they may have done a great job on the walls, their business etiquette cost them their tip. 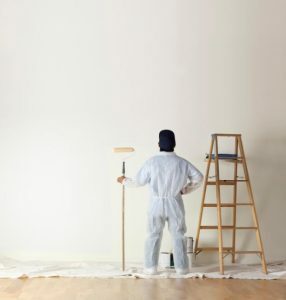 In what cases should you tip a house painter? Many service professionals do great work and deserved to be tipped. Most of the time they are competing with dozens of different companies in the area and will make sure you are taken care of. If the house painter goes out of their way to do certain things like, price your job lower because it would take them that long to complete or gives you free advice on your other room, you should tip them. House painters on the higher end of the scale would even go to a hardware store to help you match the paint you are trying to use. Most of these painters do this so you could give them a solid review. Usually, a tip is just a cherry on top for most painters that enjoy the work they are doing. So, how much should you tip a house painter? Well, in the end, this lies with the customer, obviously. As a general rule of thumb when it comes to any tipping 15% to 20% is a great range to start from. If the painter you are working with has provided you with great service, as stated before, feel free to tip them more than the recommended percentages. Maybe the work was not up to par with what you wanted to accomplish. In this case, you should lower the price or simply pay the contractual agreement you signed on for prior to the start of the job. Should you choose to tip a house painter there are a few things you should ask beforehand to alleviate any confusion. For example, painters that are not independent contractors may have to refuse tips. In some cases when you tip a house painter they will have to report it to their boss. If they do not there could be some issues when tax season comes around. If you tip your server at a nice restaurant you can tip a house painter. Tipping shows your gratitude for the hard work done to your home. Tipping, although small to some people, can revitalize a person’s attitude toward their work which can potentially give someone else great work.